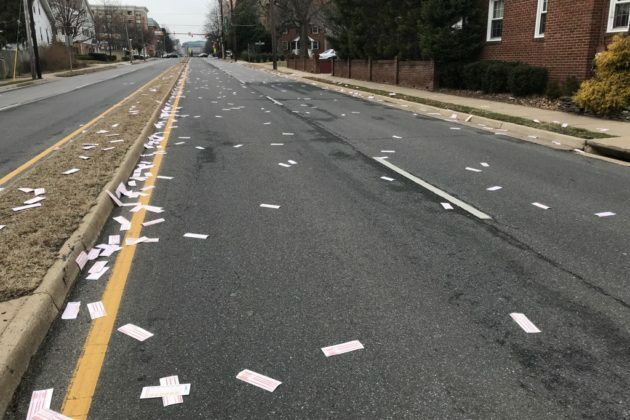 Blank lottery tickets strewn across 10th Street N.
(Updated at 3:15 p.m.) It’s not clear how they got there, but thousands of blank Virginia Lottery tickets are currently littering 10th Street N. near Clarendon. 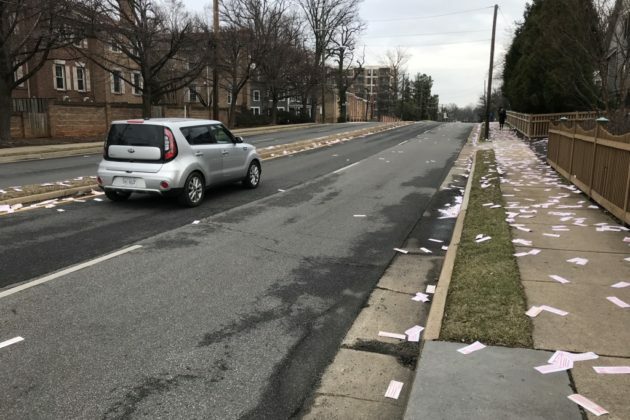 The lottery tickets — unplayed Pick 4 and Cash 5 tickets — are spread across a five-block span of 10th Street, from N. Barton Street to Washington Blvd. 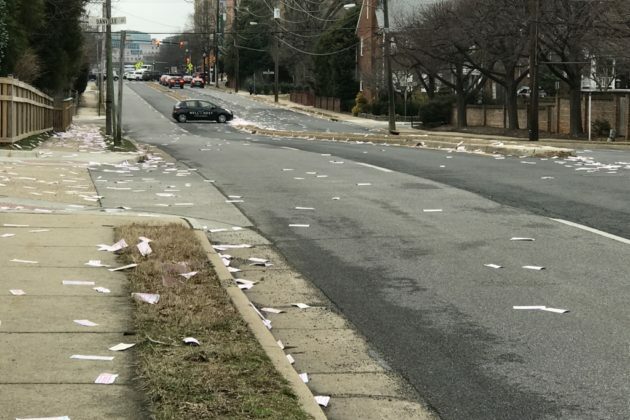 They’re in the street, on the sidewalks and piled atop the medians. 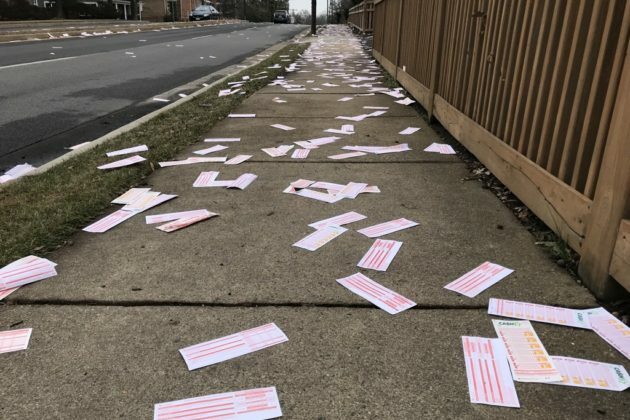 Thus far, as of 2 p.m., no one seems eager to pick up the tickets — traffic is driving by and people are walking past the ticket-strewn roadway as usual. 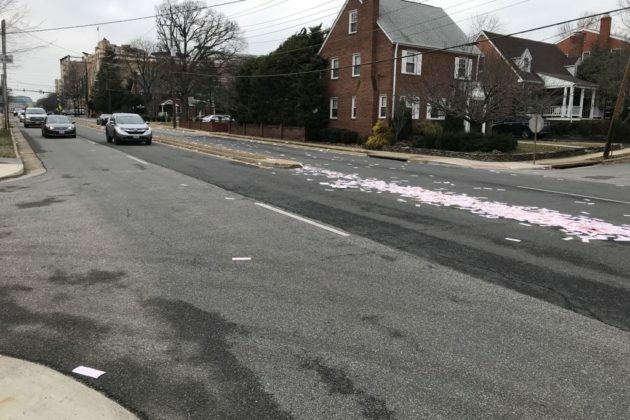 An Arlington County Police spokeswoman said police are aware of the situation and county crews will be cleaning up the mess soon. 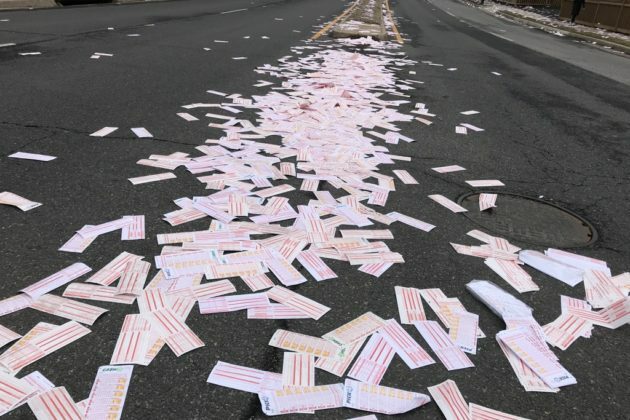 John Hagerty, a Virginia Lottery spokesman, stressed that the tickets are merely “play slips,” which have no value. 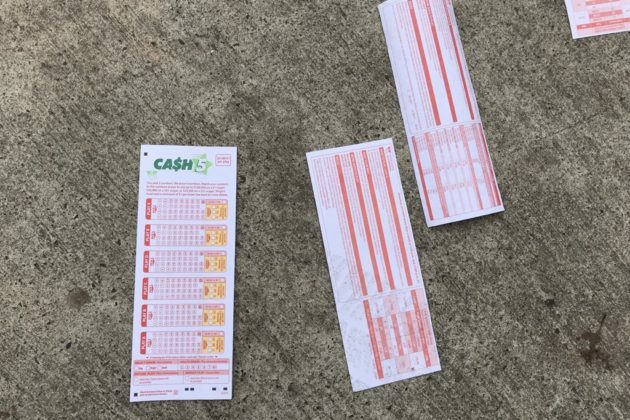 As best as lottery officials can tell, a nearby business deposited a box of the slips in a dumpster, he said. But once a truck came to empty the dumpster’s contents, the play slips flew everywhere. The business has now notified the waste management company of the slip up, Hagerty added.